The One with Creative Options Storage Solutions! 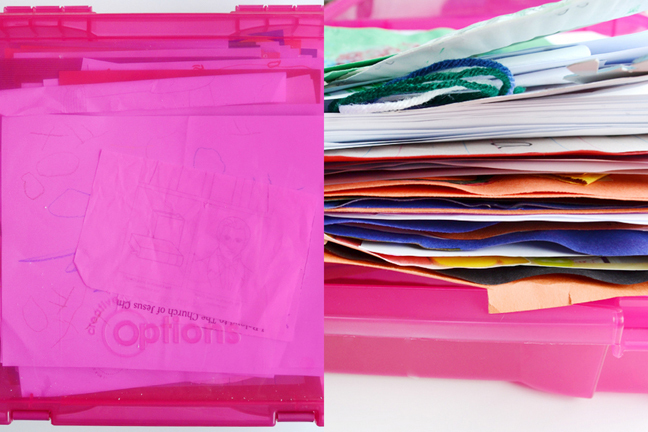 Creative Options are perfect for storing itsy bitsy scrapbooking embellishments that could fall between the cracks of larger supplies. Simply store them in these twistable and stackable jars and place them within arm's reach for a quick-and-easy go-to final touch on your projects! I sew. A lot. 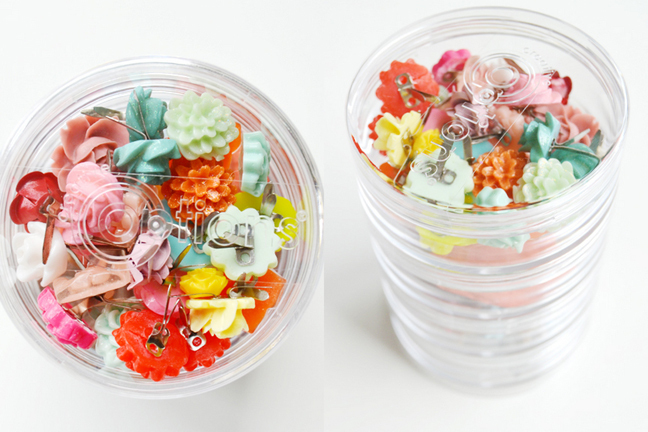 Whether on my scrapbooking layouts or making pacifier clips for my etsy shop, I need my sewing supplies close by. Enter the Creative Options utility box - the perfect size and depth for my threads, bobbins, snaps, string, needles, ribbons, and more! Now, instead of pulling each supply from a million different places around my craft room, I only need to bring this one box to my workspace! So convenient! Fox LOVES art. And homework (ha, I wonder when that will change!). He brings home page after page of beautiful drawings from church and preschool every day. What-oh-what to do with said drawings? I can't possibly throw them away - the memory keeper and preserver in me shudders at the very thought! 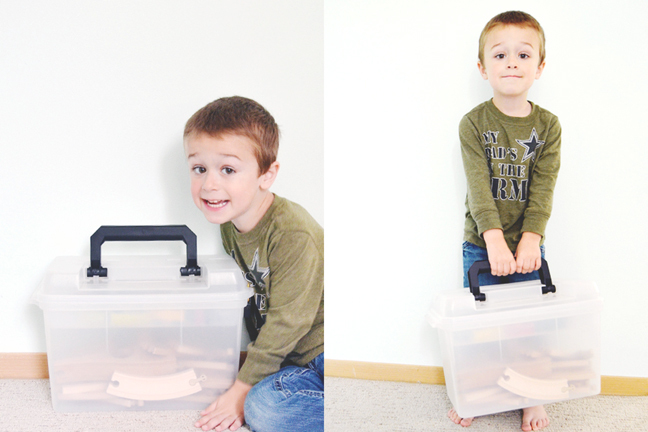 The Creative Options project box is PERFECT for storing dozens of Fox's precious pieces of art! 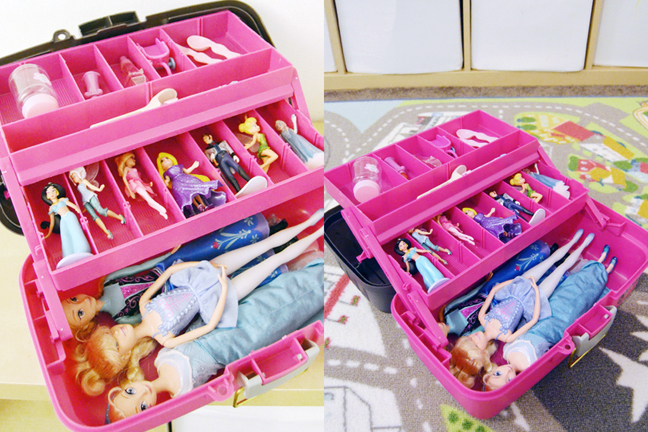 Creative Options are also perfect for storing kids' toys! The Creative Options Artist Travel Case totally works for art supplies - but it's also an awesome solution for storing trains. Put the tracks in the bottom and the trains on top. Fox loves carrying around his toys in his "suitcase". And let's not forget Jane's toys! The Creative Options Two-Tray Fine Arts Box with all of its little compartments is perfect for figurines, Barbie dolls, toy make-up and dress-up supplies, and more! Janey loves carrying her box around like a big girl! Scrap supplies, craft supplies, art supplies, artwork, toys, and more - the possibilities for storage solutions are endless and made easy with Creative Options! Great storage ideas---especially Jane's case---a definite idea for my DD! oh my goodness, you had me at storage.. this is fantastic - organize freaks unite! i want i want i want!!!! You are seriously so clever. LOVE these ideas! Cuteness overload! Thank you for sharing! You are the best! The One with Scrapbook Werkstatt! The One with 1000 Etsy Sales! The One with the Supplies On Hand Class! The One with the Soccer Mom!